Lawyer, MLA (1908-1910), MLA (1911-1914), judge. Born in Campbellford, Ontario, he came to Manitoba in 1893 to teach for four years at Shellmouth School. He then studied law in Winnipeg, articling with J. R. Howard, G. W. Baker, and A. R. Tingley, and was called to the Manitoba Bar in 1905. 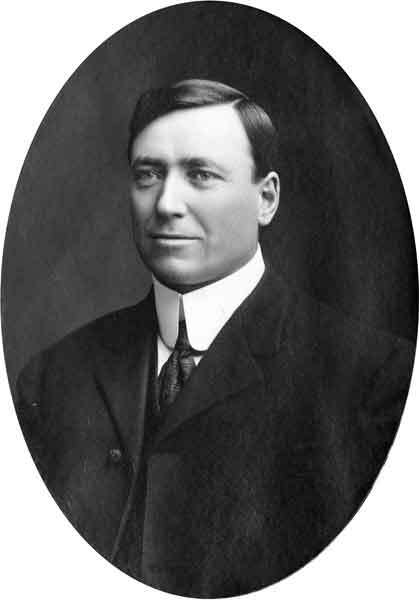 Defeated in the 1903 provincial general election, he was elected as a Conservative MLA from Russell in 1907, replacing William J. Doig, and was re-elected in 1910. He served as Deputy Provincial Secretary from 1910 to 1913. In 1913 he was appointed Provincial Police Magistrate in Winnipeg, remaining until 1916, when he resigned to raise, take overseas, and lead (as Lieutenant-Colonel) the 200th Battalion, known as “Bonny’s Buccaneers.” Upon demobilization he served as a County Court Judge in Dauphin until 1941. On 19 November 1902, he married Ellen Mary Boulton (1875-1955), daughter of C. A. Boulton, at Russell. They had six children: Richard Henry Gardyne Bonnycastle, Charles Humphrey Bonnycastle (1904-1985), Charlotte A. Bonnycastle (1906-? ), Lawrence Christopher Bonnycastle, Joan Bonnycastle (1911-? ), and Geoffrey Francis Bonnycastle (1914-?). He died at Dauphin on 9 September 1941. There are extensive papers at the Archives of Manitoba.